We are in Sapporo, the capital of the Japanese island of Hokkaido today, and all set to witness the renovation of a 35-year old apartment. 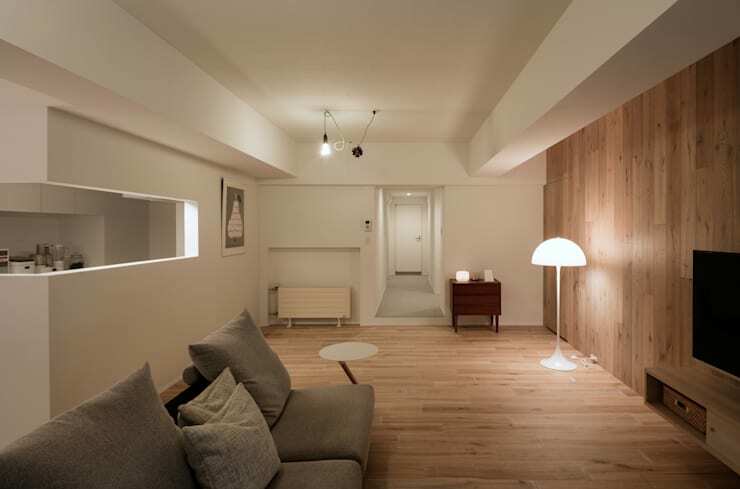 It was lying in a dingy and gloomy state, before the architects at Isshiki Reiji Architects decided to give it a cozy and modern makeover. 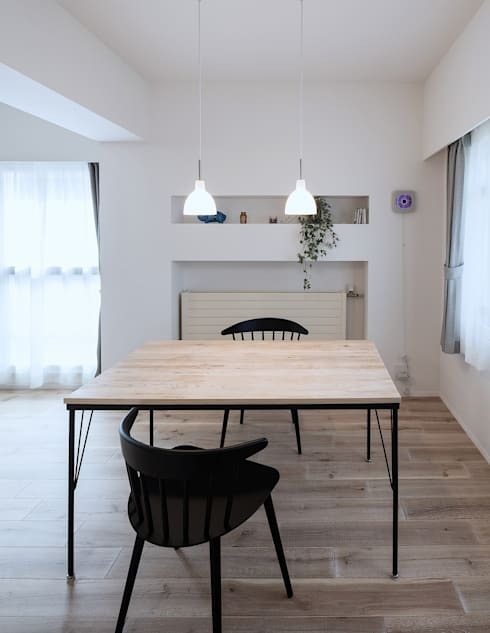 The interior walls separating the kitchen, living and dining were pulled down to create a spacious and airy common area flooded with natural light. 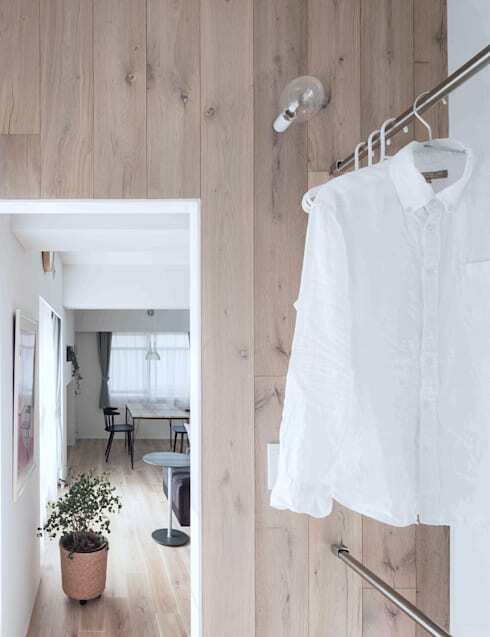 White-dyed wood was used to complement the North European furniture and make the interiors comfy and functional. With an area of 1025 square foot, the residence is now simple yet elegant, and equipped with smart storage solutions and cheerful lighting. 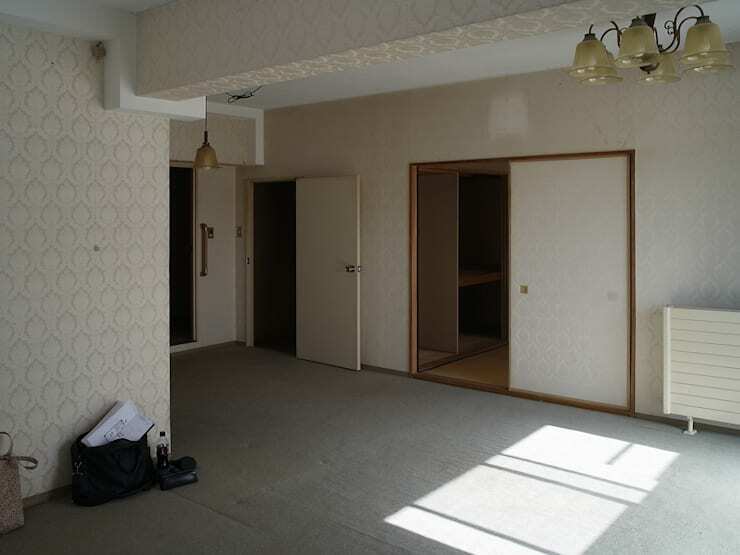 Dark rooms, dull wallpaper and a non-descript floor made this apartment completely uninviting. The doors looked extremely dated as well. 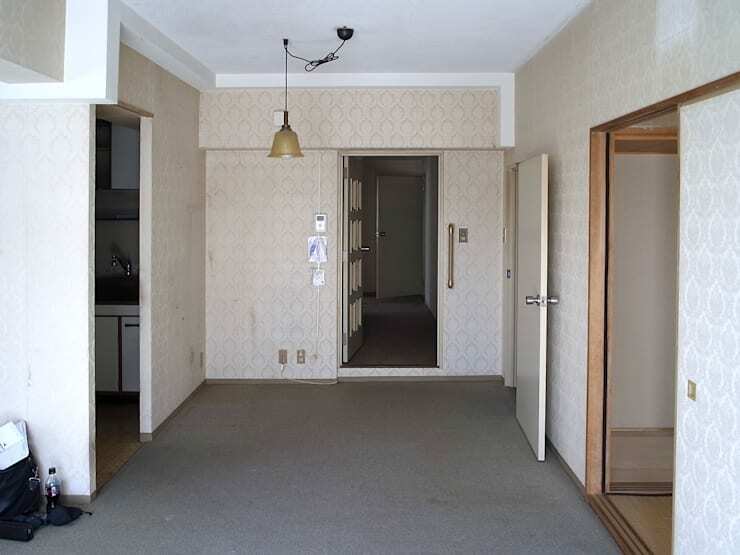 The kitchen on the left was a dark and dingy room where no chef would have wanted to step in. Old-fashioned light fixtures made matters worse. Flooded with natural light and with the interior walls gone, the home looks bright and airy. 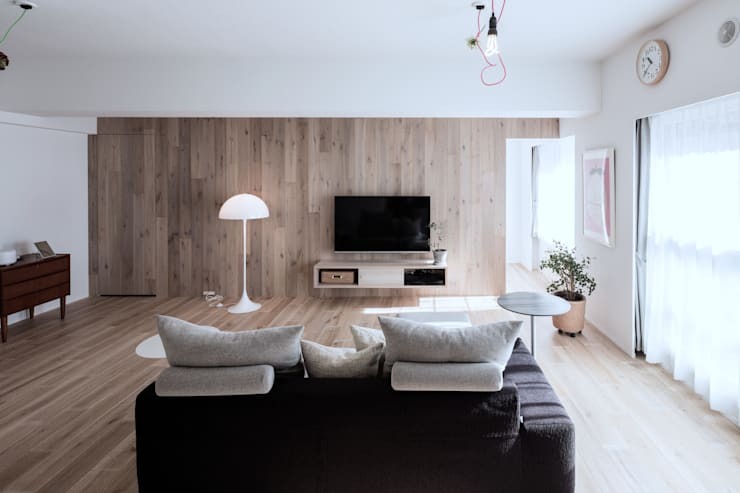 Wood lines the floor as well as the TV wall for warmth, while a single potted green lends freshness. Sleek designs now rule the space, as you can see from the TV unit and the bureau near the entrance. 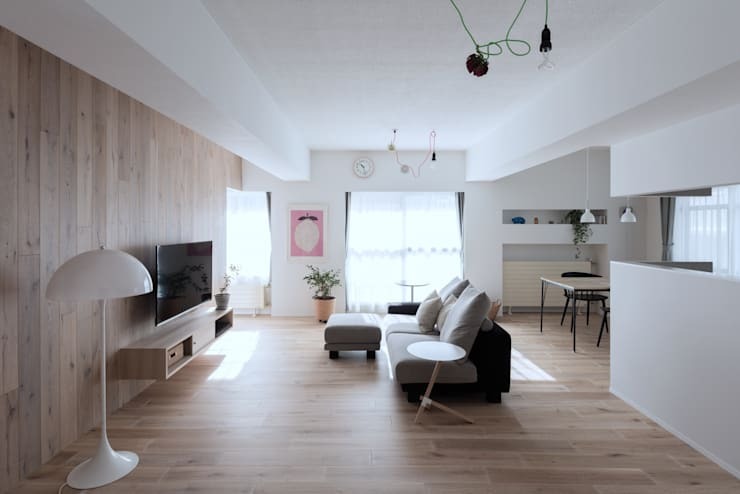 The open layout of the apartment is evident from this angle. 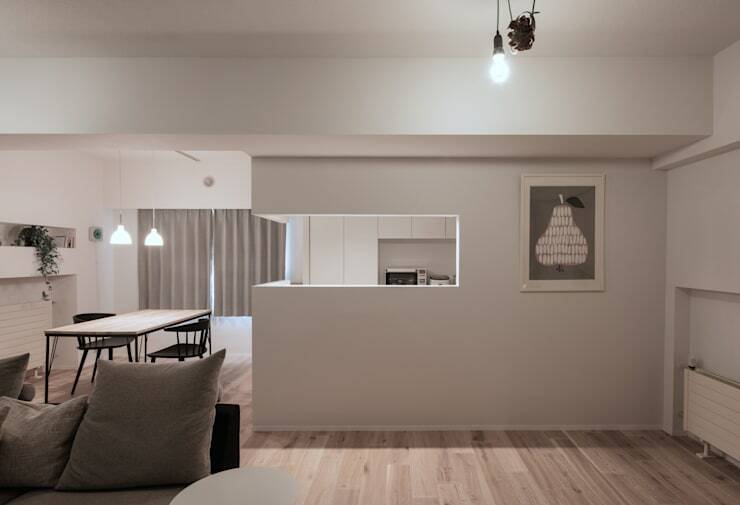 The living space leads to the dining behind it, while the kitchen opens up through a long L-shaped window. 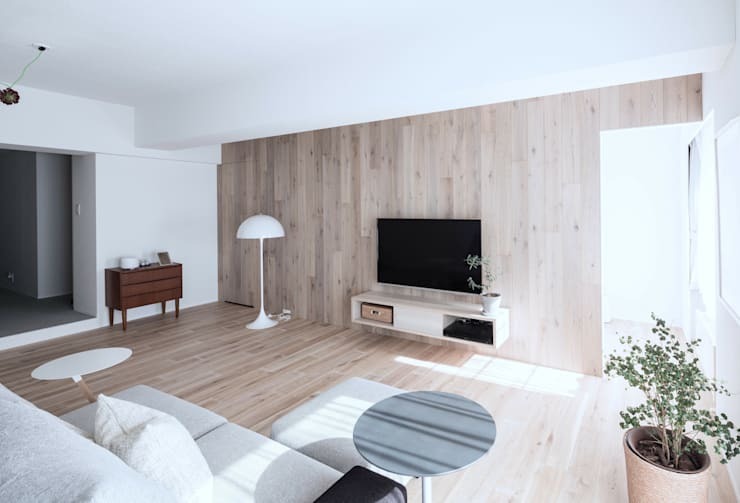 White walls make the interiors look bright, clean and roomy. Large glass windows fill the rooms with sunlight, while sheer white drapes lend a dreamy feel. Evenings are now a warm and soothing affair with gently glowing lamps casting magical glows in the living area. 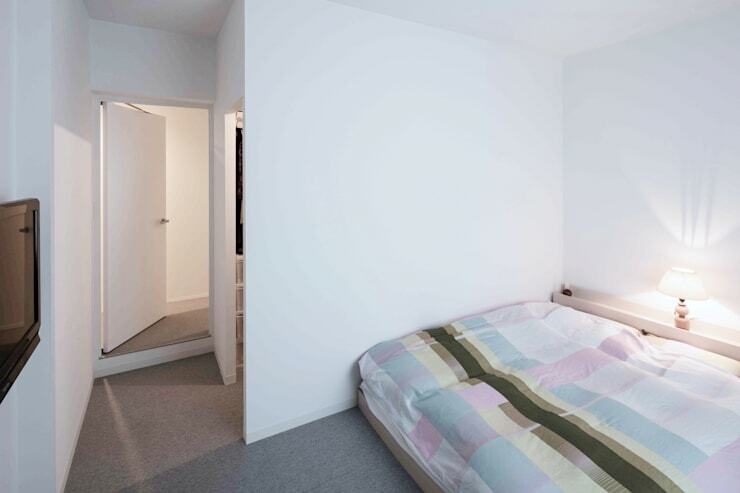 The white, grey and wooden colour palette appears full of personality in the evenings. Trendy black and wooden furniture makes the dining space bold and warm. The wall between the glass windows come with a sleek niche for displaying knickknacks, while a couple of chic pendant lights adds a classy touch. Minimal and comfy, the bedroom is strictly reserved for relaxation, as is evident from the smooth white walls and plush bedding. A softly glowing lamp lends a magical aura here. 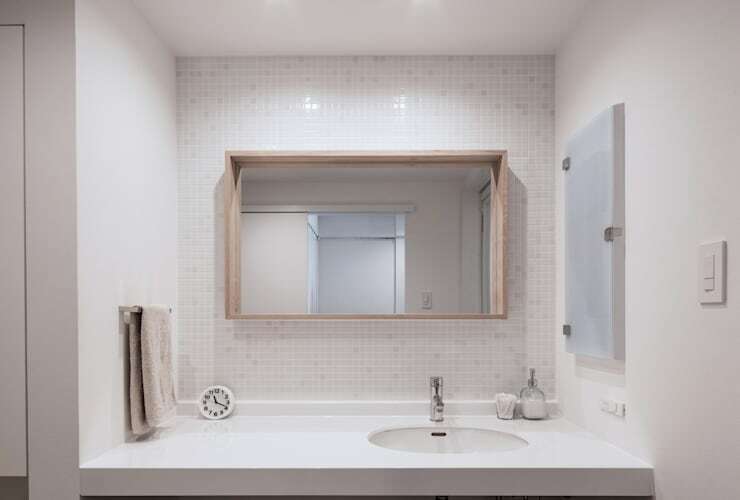 Rendered in wood and white, the compact but cosy bathroom is a very functional space. 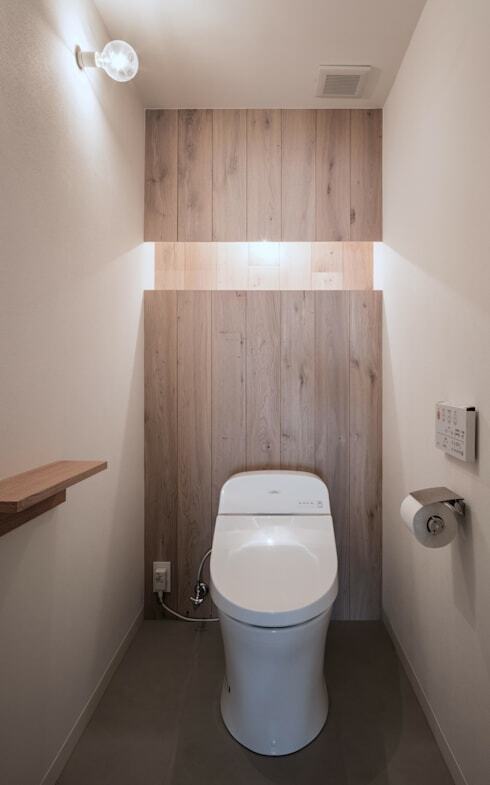 The smart wood panelling behind the WC features indirect lighting to liven up the space. A sleek wall-mounted wooden shelf and a holder for toilet paper take care of practical needs without eating up floor area.